Library provides lending service to the Institute Research Fellows. At the same time it also provides on request reading facilities and the dissemination of information. The use of Library is allowed to the Institute’s Research Fellows and shall be open for academia researchers at National and International level with permission of the Director. NIHCR Library provides photocopying facility to its users for convenience on normal charges in the library premises. 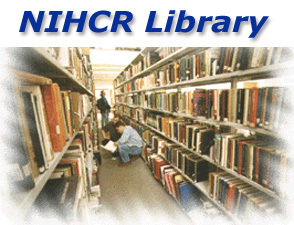 NIHCR Library offers open access to its users. In open access books, journals, magazines, and other reading material are kept open on shelves rather than in closed lock and key as this library is basically research reference library. A large number of scholars, researchers and students of the Quaid-i-Azam University, institutions from all parts of the country immeasurably using this library. The internet facility will be provided to the library users very soon.